What signals are you sending when you share the gospel? The importance of signs for communicating truth has been recognized throughout the ages. Crystal L. Downing traces this awareness from biblical texts, through figures from church history like John Wycliffe and William Tyndale, to more recent writers Samuel Taylor Coleridge and C. S. Lewis. In the nineteenth century, this legacy of interest in the activity of signs brought about a new field of academic study. In this book, Downing puts the discipline of semiotics within reach for beginners through analysis of the movement?s key theorists, Ferdinand de Saussure, Charles Sanders Peirce, Mikhail Bakhtin and others. She then draws out the implications for effective communication of the gospel of Jesus Christ within our shifting cultural landscape. Her fundamental thesis is that "Failure to understand how signs work--as effects of the cultures we seek to affect--inevitably undermines not just our political and moral agendas but, worse, the gospel of Jesus Christ." Writing with humor, clarity and flare, Downing lucidly explains the sophisticated thinking of leaders in semiotics for nonexperts. 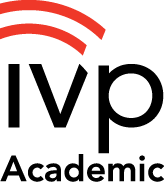 Of value to all those interested in communication in any context, this work will be of special interest to students majoring in communications or English or to students in evangelism and preaching courses at the undergraduate and graduate level. "If you think that Roman Jakobson, Charles Sanders Peirce, Antonio Gramsci, Mikhail Bakhtin and a host of other esoteric theorists are irrelevant to Christian living in the modern world, Crystal Downing wants you to think again. Her persuasively engaging book explains why semiotics (the science of 'signs') can in fact illuminate Christian faith, Christian approaches to culture and believers' relationships with other believers. Although the material in this book is complex, Downing does a beautiful job conveying her message about the importance of 'signs' and the hopeful possibilities of 're-signing' with winsome simplicity, telling anecdotes and solid Christian wisdom." "Changing Signs of Truth is intellectually stunning, with a rich vein of church history, literary exemplars and personal anecdotes illustrating and illuminating key concepts in the study of semiotics. The work introduces readers not only into a world of ideas about signs and communication, but to a real person. It thus practices what it preaches." "This is a splendid book filled with deep Christian wisdom and practical insights for everyday communication. Crystal Downing makes semiotics understandable, interesting and even fun." "The great contribution of this work is to make some of the most complex and challenging theoretical concepts in communication accessible and even attractive to competent college-level readers within the milieu of struggles over faithfulness in North American evangelical Christian culture." "Semiotics is not a common concern for most Christians. . . . Yet Downing aims to not only make semiotics accessible for the everyday Christian reader, but pivotal to the '(re) signing of Christian truth' in the postmodern age.' . . . This book can be a valuable tool to those seeking to convey Christian doctrine in a fresh way in the 21st century." "True to her vocation, Downing demonstrates her affinity for linguistic signs and metaphors by coloring her writing with a plethora of puns and double entendre that delightfully intrigue and engage the reader, thereby making a complex scholarly area of study very understandable and enjoyable. It is a significant contribution to our understanding of the signs that govern our Christian lives, how to make them understandable to those embedded in today's culture, and how to live out the command to 'be one' in the midst of our plurality." 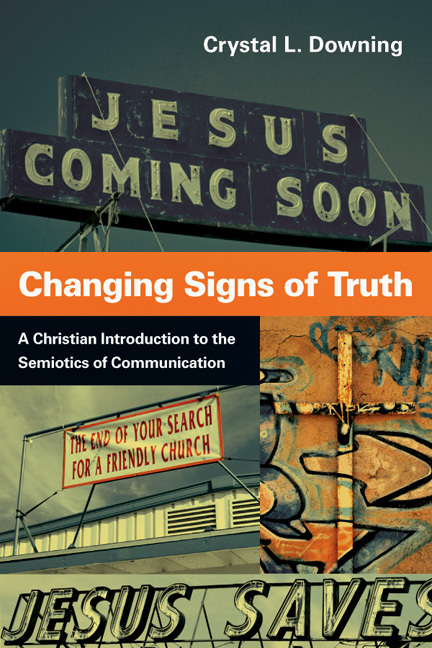 "Downing's book, Changing Signs of Truth: A Christian Introduction to the Semiotics of Communication, is a lucid, accessible, and often downright enjoyable introduction to this sometimes esoteric field of study. . . . The publication of Changing Signs of Truth is excellent news for professors and students who grapple with how semiotic and postmodern theory fits into robust, orthodox Christian theology; it's also a boon to cultural commentators and laymen who intuit that there's something fundamentally off about the way Christians often discuss culture but can't quite find the language to describe it. . . . Downing has done the academy and the church at large a great service in a highly readable, often winsome argument." ". . . a helpful introduction to a subject that demands serious attention . . ."
"Long story short: This is a helpful book, particularly for those students encountering these topics in their coursework. Through it all, Downing encourages Christians to 'influence the flow of culture by changing their signs of truth,' but without compromising core doctrines." 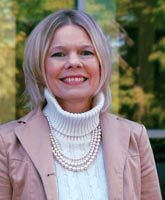 Crystal Downing, Distinguished Professor of English and Film Studies at Messiah College (PA), has published widely on the relationship between Christianity and culture. 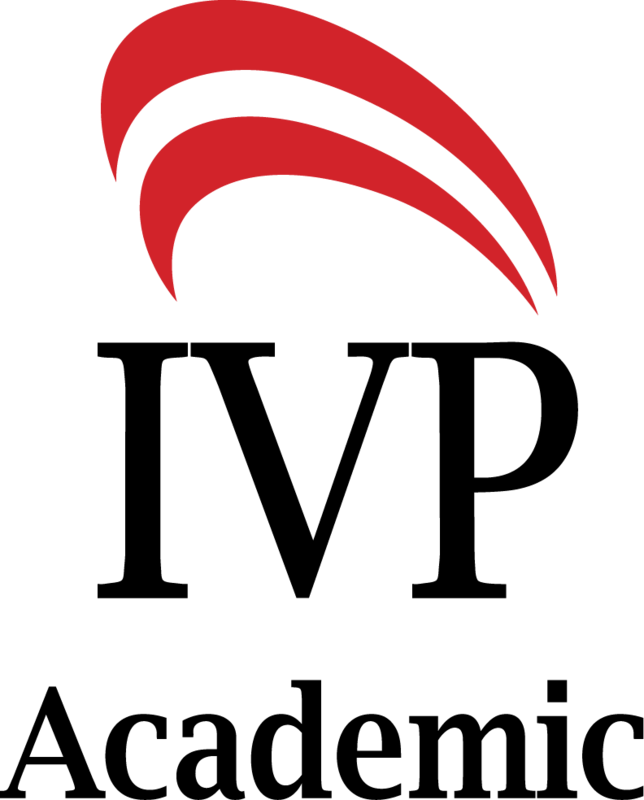 Her first book, Writing Performances: The Stages of Dorothy L. Sayers (Palgrave Macmillan) received the international Barbara Reynolds Award for best scholarship on Sayers, granted at Cambridge in 2009 by the Dorothy L. Sayers Society. 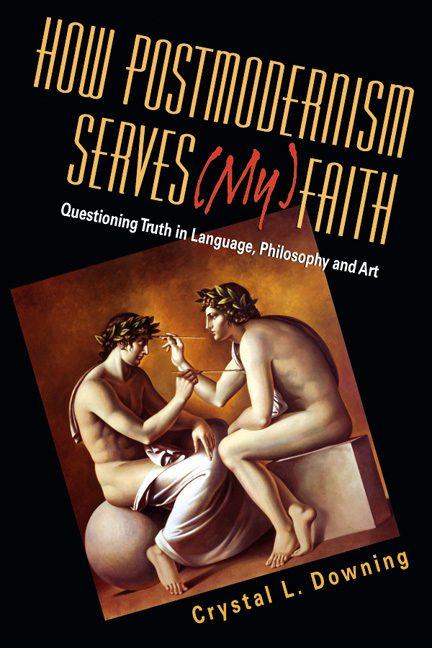 Her second book, How Postmodernism Serves (My) Faith (IVP Academic), grapples with the rhetorical and religious turns in philosophy. Downing has also published scores of essays in Books and Culture, The Cresset, and Religion and the Arts, drawing Christianity and culture into conversation through analysis of film semiotics.